Argentina is in a deep economic crisis. 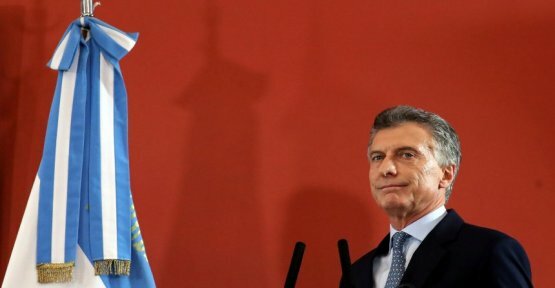 Now, the Argentine house of representatives has agreed to the harsh austerity measures of the government of President Mauricio Macri. The government says the International monetary Fund austerity policies in return for an IMF loan in the amount of USD 57 billion (USD 50.1 billion). After a marathon debate and violent protests on the streets against the austerity plan 138 the Deputy and 103 voted against, eight abstained. next, the Senate must vote on the measures. With his consent, is expected. Are provided in addition to the abolition of several ministries and a higher taxation of exports, deep cuts in health, education and transport, public Works, as well as in the areas of science and culture. On Friday, the IMF in Washington will decide on the disbursement of the second Tranche of its loan to Buenos Aires. Argentina's budget deficit last year amounted to 3.9 percent of economic output. The government wants to reduce this year to 2.7 percent and by the end of 2019 to Zero. The Argentine Peso lost since the beginning of the year, 50 percent of its value against the Dollar. the main reason is the disturbing trend of Inflation. In July, it amounted to almost 20 percent until the end of the year it could be 40 percent. At the same time is expected to Shrink the economy by 2.6 per cent. In the past few months, strikes and demonstrations increased. More than 27 percent of the population lives according to official information, under the poverty line, the unemployment rate is 9.6 percent.